From a very young age, I recall my mother slathering my sister and I with sunscreen to guard us from getting excessive sun. We’d be at the seashore with our sandcastle crumbling down and my mom would be there, adding one more application of sunscreen. We didn’t know then of course, just how very important it was to guard our skin. I have light skin. And I do recall without sunscreen, my young skin would burn in under five minutes in the summer months. So, it had become critical that preventative action was applied. I am thankful that my mom was indeed wise in this manner. And though it has become a part of my sun regimen, I did not think much about what sunscreen was in fact and in what way it functioned up until numerous years back. I considered you might be curious too. It’s important to first understand how the sun’s rays can cause skin damage. The sun is made up of shorter length UVB rays and longer length UVA rays. UVB rays are responsible for tanning and sunburns; UVA rays on the other hand, penetrate deeper into the skin and contribute to wrinkles, premature aging, allergic reactions and some types of skin cancers. In North America, a sunscreen’s effectiveness is measured by its Sun Protection Factor or SPF rating. SPF is a measurement of the amount of UVB protection that a sunscreen delivers. As yet, North America doesn’t have an official standard for measuring the UVA protection of a sunscreen. Regardless, an effective sunscreen should offer protection against both UVA and UVB rays and should remain stable when exposed to sunlight. Sunscreens are filters of Ultra Violet rays. They are used to filter only a part of these UV rays. By classification, all forms of sunscreen include active ingredients that either absorb or scatter and reflect UV rays that would otherwise enter into the skin and cause a sunburn. UV Natural sunscreen uses Zinc Oxide that is a reflector of both UVA and UVB Rays. One common misconception is when you put on sunscreen you’ll be completely protected from the sun’s harmful UVA and UVB rays and can’t get a sunburn. This is just not true! Sunscreens only decrease the burning affect of UV rays you’ll experience when you don’t use it at all. Just How Does Sunscreen Work? Sunscreens are filters, not “blocks.” Every one of them allows some UV rays through at differing levels showed by the SPF number. A SPF 30 sunscreen will permit 1/30th of the UV rays to pass through it in the equivalent length of time as it would with no sunscreen whatsoever. It’s important to totally understand this definition so you’re able to understand how a sunscreen functions. If you use a SPF 30 sunscreen it will take 30 times as long for the sun burning dose of UV rays to accumulate. Furthermore, be aware that a sunburn might take hours to actually show up on the skin. If you receive enough UV rays to produce a sunburn, no sunscreen or re-application is going to protect against this effect. This is the reason it is important to apply your sunscreen BEFORE sun exposure. Repeated applications of sunscreen are ONLY maintenance of the original application. It does not restart your time in the sun; it just provides the original application an extra boost, improving its performance. Tests completed by the testing facility at UV Natural sunscreen indicates that it will take from 6 to 10 minutes to begin to receive burning from the sun without protection. This is dependent upon different skin types and also changes for different regions and seasons. 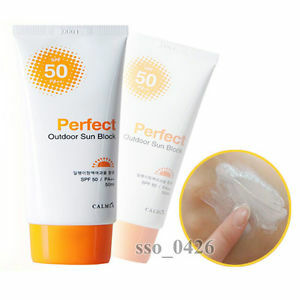 Putting on a SPF 30 product for instance, in theory provides you with 30 times the protection before burning occurs. Re-application is needed and advised every 2 hours. Activities that cause sweating, towel drying, and lengthy amounts of time in the water are generally reasons to reapply sunscreen. Now that you understand a bit more concerning sunscreen and just how it works, you might be interested in a sunscreen that is not packed full of chemicals. Do your research and see what is actually most desirable for your household. A natural sunscreen provides us the assurance in knowing that we are safeguarded without having all of the chemicals of particular commercial makes. So, get out there and appreciate the sun! A “Broad Spectrum” labelled sunscreen offers protection from both the UVA and UVB rays. People that have sensitive skin must wear sunscreen and, additionally, should wear long sleeve shirts, wide brim hats and avoid the peak sun hours of 10am to 3pm. Your first application of sunscreen is the most important. Apply sunscreen evenly and liberally to exposed areas of the skin 20 minutes prior to sun exposure. This allows time for the sunscreen to adhere well. Re-apply regularly, particularly after prolonged swimming or excessive perspiration. It is recommended that re-application to children is performed more frequently. If irritation occurs, discontinue use. Avoid contact with eyes.Here’s a tip – Wear under make-up, moisturizer or insect repellent. Children have particularly sensitive skin so sun exposure should be avoided. If sun exposure cannot be avoided ensure that they have sunscreen applied to any areas where any of the skin is not protected by shade or clothing.